The Big Game is getting closer and we’re getting excited! I’ve been getting stocked up on all the things we need to make some of our favorite game day recipes, like football deviled eggs. Plus I’ve been making sure we have all our non-food supplies that we’ll need to make game day perfect. Traditions are a big part of nearly every sport and football is definitely no different. In fact, I think football fans might have some of the biggest game day traditions of them all. What you wear, what you eat, where you watch the game – you have a certain pattern for it all. Thanks to SheSpeaks/P&G for sponsoring this post so I can share mine with you! Every year I love sharing big game ideas with you. 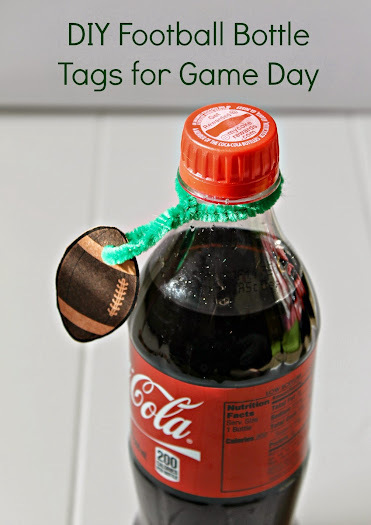 We do a lot of homegating and entertaining during footballs season, so I usually have lots of recipes and decor ideas I can pass along.